The Bbq Tools Set including the Basting Oil Brush, slotted spatula, bbq fork, tong.Superior bbq Grill Tools mean superior grilling. Not only is the quality of our bbq tool set , but you'll be grilling in style with these beautifully & simply designed tools. This Bbq Set is sure be your favorite Grill Accessories in your tool kit.Our 4pcs BBQ set is an absolute crowd pleaser, beautifully crafted and of obvious quality. This set is built with extra thick stainless steel, which ensures they will not bend or break. The real natural hard wood handles are great for comfort, design and durability. 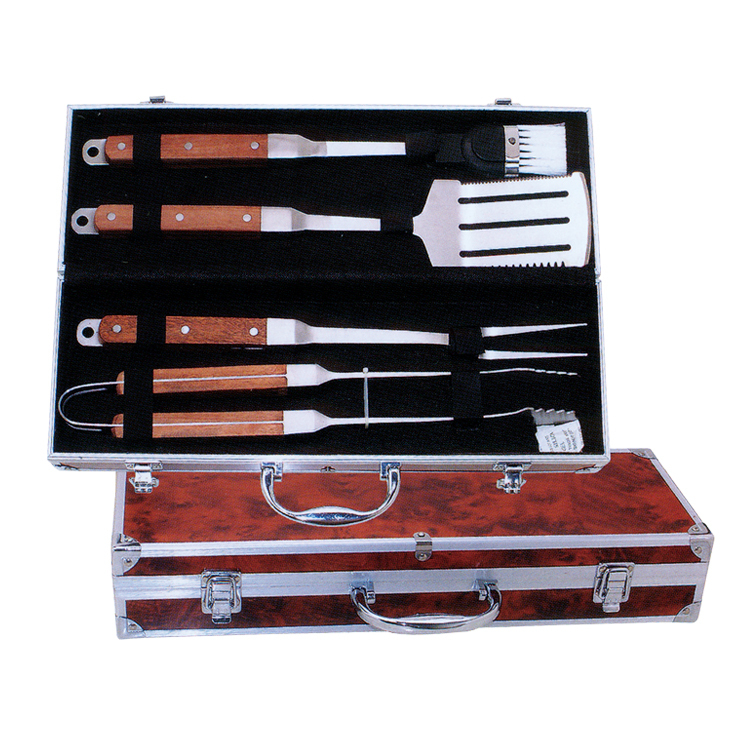 Looking for ideal Wood Handle Bbq Tool Set Manufacturer & supplier ? We have a wide selection at great prices to help you get creative. All the 4pcs Outdoor BBQ Tools Set are quality guaranteed. We are China Origin Factory of Protable 4pcs BBQ Tools Set. If you have any question, please feel free to contact us.